This annual world-famous festival centres around Ottawa’s love affair with the tulip, with a million tulips blooming in public areas, including 250,000 blooms in Commissioners Park near Dows Lake. Discover events and attractions near Gatineau Best Western Plus Hotel! 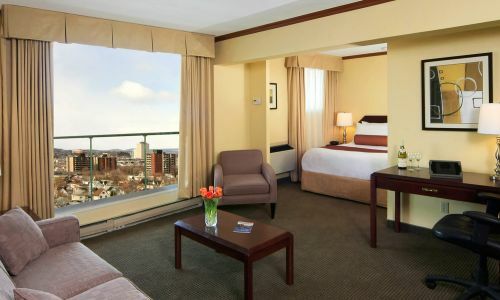 A premier Gatineau hotel, the Best Western PLUS Gatineau-Ottawa Hotel and Conference Centre is Gatineau's only waterfront hotel offering spectacular views the Ottawa River, Parliament Hill and other famous landmarks in Ottawa. Best Western Plus Gatineau Hotel features a prime location less than 1 km from downtown Ottawa Conference facilities and onsite catering to accommodate groups from 10 to 270 people. 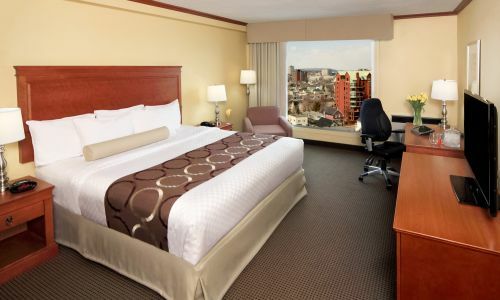 This Gatineau hotel offers 133 non-smoking rooms and suites just steps away from major Gatineau attractions and things to do in Ottawa including the Canadian Museum of History, Jacques Cartier Park, and the National Gallery of Canada. Really good value. Right across the bridge from the National Gallery and the Market. Nice views of the river. Easy check in and out and parking. Rooms are nice, comfortable, clean. Its my second stay here and I will come back. So impressed with this hotel..Very quiet, clean...I loved the beds they were so comfortable had the best sleep..There was a little problem upon checking in and the manager went above and beyond to rectify the problem..Highly Recommend this Hotel..
We were given a room with a wonderful view of the Ottawa River overlooking the Parliament Buildings. Easy walking distance to the Canadian Museum of History. Most important, we were treated like kings! Thanks Pierre B. for being so patient and helpful. We will definitely return in the Summer.